WikiLeaks founder Julian Assange has been arrested and removed from the Ecuadorian embassy in London. The Australian, who has lived in the Andean nation’s embassy for nearly seven years, was arrested for “failing to surrender to the court” in 2012, the Metropolitan Police Service (MPS) said. WikiLeaks claimed Assange “has been arrested for extradition to the United States”. 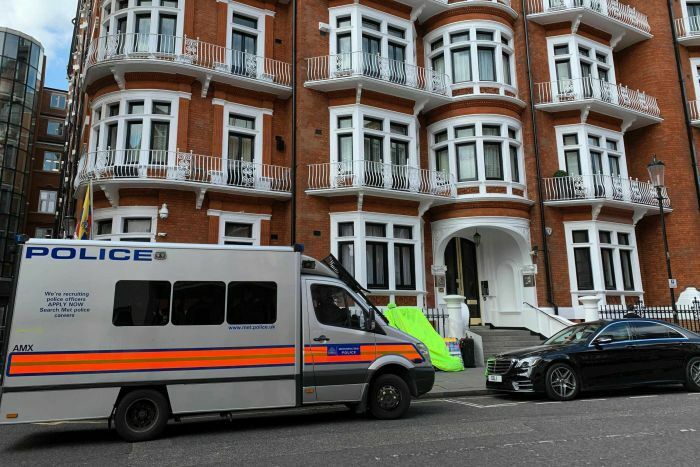 Video posted on social media shows more than six officers removing Assange from the embassy and placing him in a police vehicle. “He has been taken into custody at a central London police station where he will remain, before being presented before Westminster Magistrates’ Court as soon as is possible,” MPS said in a statement. 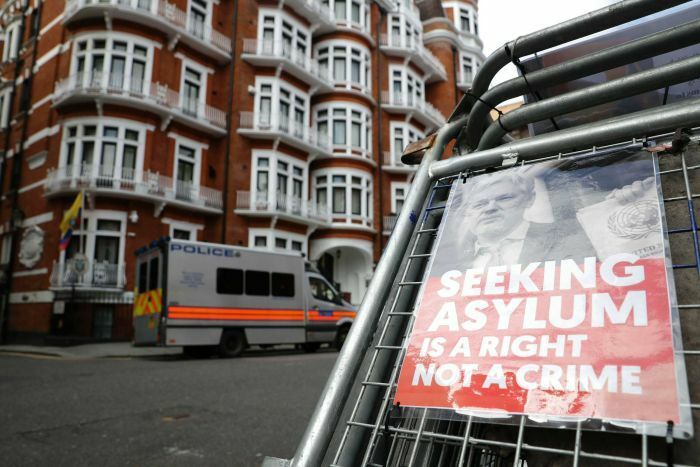 Ecuadorian President Lenin Moreno said the nation withdrew Assange’s asylum status “after his repeated violations to international conventions and daily-life protocols”. Mr Moreno said he had requested that the United Kingdom guarantee the WikiLeaks founder “would not be extradited to a country where he could face the death penalty or torture”. “The patience of Ecuador has reached its limit on the behaviour of Mr Assange,” Mr Moreno said. That probe was later dropped, but Assange has said feared he could be extradited to face charges in the United States, where federal prosecutors are investigating WikiLeaks. WikiLeaks last week foreshadowed his impending removal from the country’s London embassy. In a tweet, it said Ecuador already had an agreement with the United Kingdom for Assange’s arrest. It followed similar comments by Mr Moreno that he had “repeatedly violated” the terms of his asylum. Mr Moreno said Assange did not have the right to “hack private accounts or phones” and could not intervene in the politics of other countries, especially those that have friendly relations with Ecuador. Although he stopped short of explicitly blaming Assange for the leak, the Government said it believed the photos were shared by WikiLeaks. WikiLeaks claimed Mr Moreno’s remarks were in retribution for it having reported on corruption accusations against him, although he denied wrongdoing. Relations between Assange and Ecuador have grown increasingly prickly as the years have dragged on, and the Australian had faced increasing pressure to leave the embassy in recent months. Mr Moreno last year cut off Assange’s access to the internet, ordering him to stick to a new set of house rules, including avoiding contentious political issues, cleaning his bathroom and looking after his cat if he wanted the internet reconnected.